Star of The Weekly. Host of Hard Quiz. Come and see the master live. It’s a joy. A true master of the craft, remarkably he gets better each year. “If there was such an event at the mythical Comedy Olympics – Gleeson could take on hecklers for Australia.” Herald SunStar of The Weekly. Host of Hard Quiz. 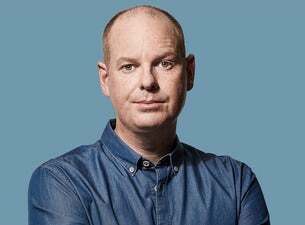 Tom Gleeson is in every Aussie comedian’s Top 5. A true master of the craft, he remarkably gets better each year, a phenomena that ensures other comedians sneak in the back of his always sold out shows. He’s performed at every major comedy festival in the world and has been nominated for a Helpmann three times. A sure fire, killer stand-up at the top of his game.